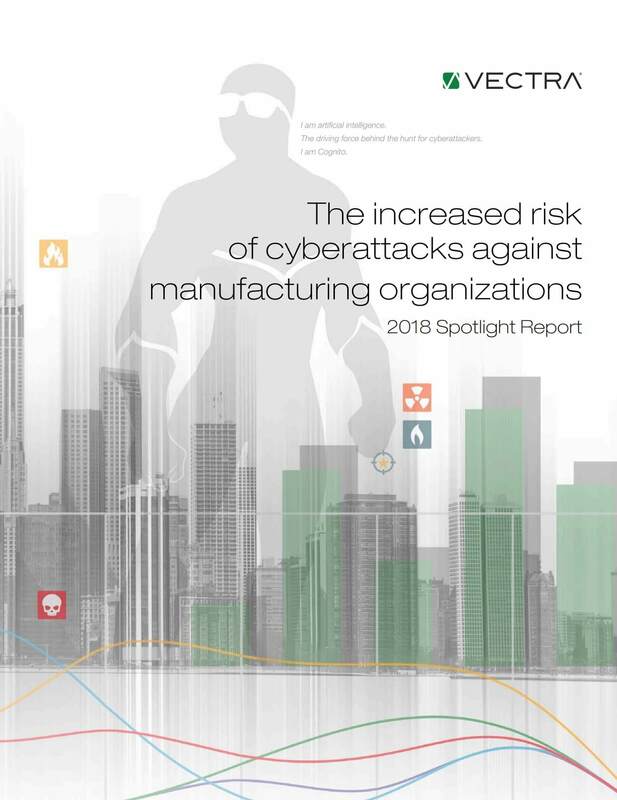 As part of key findings in the new 2018 Spotlight Report on Manufacturing, Vectra reveals that attackers who evade perimeter security can easily spy, spread and steal, unhindered by weak internal access controls. Vectra observed a much higher volume of malicious internal behaviors, which is a strong indicator that attackers are already inside the network. Vectra observed an unusually high volume of reconnaissance behaviors, which is a strong indicator that attackers are mapping out manufacturing networks in search of critical assets.